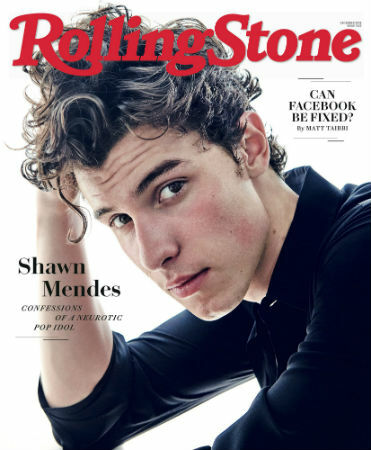 -In his new Rolling Stone cover story, Shawn Mendes says his relationship with Hailey Baldwin wasn’t as platonic as he first implied. “I don’t even want to put a title on it. I think it was more of a zone of limbo…She’s still one of the f–king coolest people ever — she’s not just a beautiful person visually, but she’s one of the most beautiful hearts I’ve ever met.” He also talks about how the gay rumours stress him out, and how he watching his interviews to analyze his voice and his body language: “In the back of my heart, I feel like I need to go be seen with someone — like a girl — in public, to prove to people that I’m not gay. Even though in my heart I know that it’s not a bad thing. There’s still a piece of me that thinks that. And I hate that side of me.” Ugh. Leave the poor kid alone. –Meek Mills penned a powerful op-ed on prisoner rights reform for the NYT. –Amanda Bynes is on the cover of Paper and seems to be doing legitimately well, which makes me happy. She talks about fighting to cast Channing Tatum in She’s The Man, and admits her drug use started by getting hooked on Adderall because she’d read in a magazine that it keeps you skinny. -I do not understand how the US just had the largest Thanksgiving box office on record, and yet Widows flopped. It’s so, so good! -This is sad: Oprah‘s mom died on Thanskgiving at 83. –Priyanka Chopra and Nick Jonas‘ pre-wedding festivities have begun. -I’m actually surprised it took this long for the ‘is Green Book woke enough?’ thinkpieces to come out. -The conscious uncoupling is still going strong. Dakota Johnson spent Thanksgiving with Chris Martin and Gwyneth Paltrow and their kids. -Ooh boy, Amber Heard‘s outfit at the Aquaman premiere was a bit too on the nose. -Meanwhile, I’m pleasantly shocked that the initial reaction to Aquaman from critics is so overwhelmingly positive. –Guillermo del Toro shared on Twitter a massive list of screenplays he’s been working on that still haven’t been produced. -This woman’s fake missed connection about Michael B Jordan is going viral and I’m so proud of her! –Chris Pine and Patty Jenkins‘ TNT miniseries I Am the Night will be released in January.